Apricots will not lose their nutrients during the cooking process, so if you cannot find fresh, feel free to use canned or dried apricots. Most recipes will not require the smooth skin of the apricot to be peeled. However, should you need to peel them, simply blanch in boiling water for about 20 seconds and then plunge into ice water. The skins should peel off easily. If your dried apricots have dried out too much, they may be softened in the microwave. Place the dried apricots in a single layer in a microwave-safe dish and sprinkle with a bit of water. Cover and microwave for one to two minutes, checking for pliability. They may also be steamed or soaked in liquid to soften them up. When chopping dried apricots in a food processor, toss in a bit of the recipe flour to keep them from sticking to the blades. When chopping them by hand, oil the blade of the knife or kitchen shears or dip the dried apricots in flour. Remember that cut apricots will darken with exposure to air. Add them quickly after cutting to cooked dishes or dip them in an acidic solution (citrus or pineapple juice works well) if using apricots in fresh dishes. Apricots may be substituted for their cousins (peaches and nectarines) in most recipes, so feel free to experiment. They work well in many savory dishes, particularly lamb, and poultry, as well as in desserts and confections. Complimentary spices include curry, ginger, nutmeg, cardamom, cinnamon, and star anise. 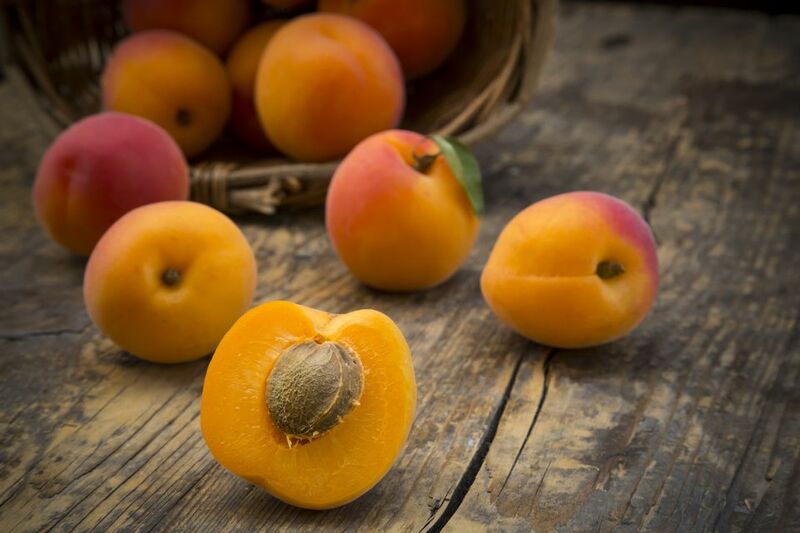 For a real treat, try apricots in any recipe combined with pistachios or almonds.